Frank Hopkins distinguished himself as a great man in history because of his great horsemanship and his enduring ability to succeed, having come from almost nothing. Hopkins is mostly known for his ability to judge endurance horses to achieve their greatest performance and for his success in working particularly with the mustang horse. Frank competed in hundreds of endurance competitions throughout his lifetime. If blue ribbons had been awarded to the winner at the end of each ride, Frank would have collected just about 400. His most acclaimed race was in Arabia where, against insurmountable odds, he rode 3,000 miles on a western-bred mustang named Hidalgo against desert Arabian horses (almost unheard of) — and came in first place 1. Frank was born a little bit after the Civil War in a log cabin in Fort Laramie, Wyoming. His father was a scout for the US Army and his mother is said to have been the daughter of a great Sioux chief. Young Frank learned his early horse riding skills when he rode with local Indians to capture and train wild mustangs 2. In his early teens years, Frank, worked as a dispatcher for Generals Miles and Crook. Later he was employed as a buffalo hunter and worked with notable names such as Buffalo Jones, Bill Matheson, William Hinrer and Bill Cody. It was during this time that Frank strengthened his base knowledge and gained respect for the toughness of the North American mustang. In addition to the astounding perseverance of the mustang, Frank also estimated the breed as a bright and practical horse. He was told once by General Crook that they could go for 90 miles without food or water and would wear out any US cavalry horse on the frontier 2. The mustang is a free-roaming horse that is mostly found in the North American west. Their ancestry can most likely be traced back to horses that were transported to the Americas by the Spaniards. 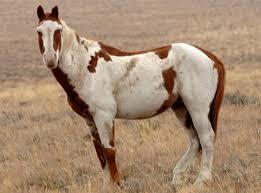 Because their ancestors were trained horses at one time, they can be categorized as feral horses. Mustangs stand at a normal height of 16 hands, which is slightly taller than the other breeds. They normally weigh in at about 750 pounds, which classifies them as “featherweights” among horses. Their lighter weight might also contribute to their high endurance 3. Frank’s beginning with riding in endurance competitions is intermingled with a line of mustangs he called the “White-y family”. This all began with a little white mustang mare that he acquired in 1877 when the army was pressing the northern Indian tribes back 1. However the story of Frank Hopkins cannot be told without including his many dependable horses. Frank’s belief that the mustang was the single most reliable animal on the American continent comes from having close to 60 years of experience in the saddle on the western frontier riding dispatch for Army generals and having taken part in more endurance races than anyone else 2. One of Hopkins’ most famous races was in the summer of 1886. The entire contest was to start in the coastal town of Galveston, Texas and finish at the end of the northern Appalachian Mountains in Rutland, Vermont, a total of 1,799 miles. The main rule of the race was that each contestant was allowed only one horse and they couldn’t ride over 10 hours per day. Frank chose a mustang named Joe for the race. His technique for preparing all his horses was to begin the contest at a slow pace in order to get his horse used to the terrain and to adapt themselves psychologically and physically. This method of conditioning the horse’s mind was an area that Frank felt many other horsemen failed to do with their horses. Frank rode his horse consistently until he was finally able to do 50 miles a day with more energy to go if he needed to. Hopkins was content that a horse was in shape as soon as it could work hard and still display a will to go on 2. The phenomenal win brought considerable praise to Frank and his mustang horse. Bill Cody, who was now Buffalo Bill of The Wild West Show, cabled Frank to join his show. 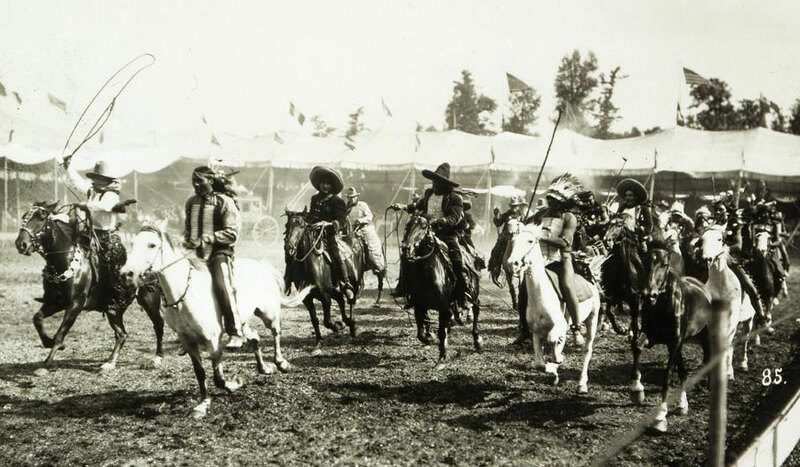 Frank was anxious to join the troupe of horsemen, and in the ensuing years he met many horse handlers from all over the world through the organization called the Congress of Riders of the World. In 1889 Frank was with the show in Paris for the world’s fair. A great number of horsemen, mostly cavalrymen, had assembled there for the horse exhibitions and shows 1. Rau Rasmussen, a predominate Arabian entrepreneur who specialized in camel trade in the south part of the Arabia peninsula, also an admirer of Arabian horses, heard of Hopkins and his mastery of the mustang. Rasmussen also heard of the American Indians’ use of mustangs and how they regularly outran the American cavalry who were astride thoroughbred horses. In 1890, through various contacts, Rasmussen found Frank Hopkins and spoke with him regarding the mustang. 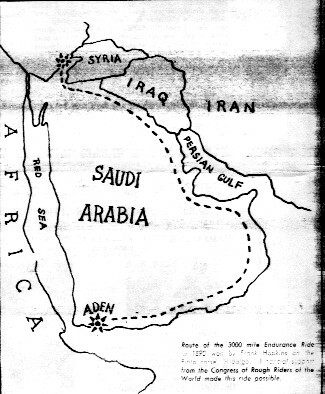 During their talks, Rasmussen introduced Hopkins to “The Ocean of Fire”, a yearly endurance racing competition in Arabia; a total distance of 3,000 miles 1. The Ocean of Fire was restricted to only the purest bred desert raised Arabians with distinguished pedigree who were owned by royal families 4. Rau Rasmussen was the first to enter a North American mustang against the Arabian horse 1. Nearly l00 horses competed in the competition from Aden in 1890. Before the race, a vast procession of the most experienced Arabian riders had selected their champion horses for the event. One could imagine that in the assembly of pure-bred sleek solid colored Arabian stallions, Frank’s multi-colored American mustangs caught the attention of many eyes 1. The race’s beginning proceeded parallel to the Gulf of Syria, then continued to the interior along-side the boundaries of the two countries. According to one of Frank’s letters and another letter written by his wife years later, much of the contest traveled over limestone country. 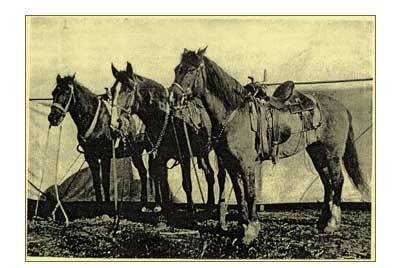 A particularly nutritious native plant called “vatches” was the only food accessible for the horses along the way. Camels also followed the contestants and supplied barley feed for the horses. Water was very rare for most of the trip and occasionally the horses were only able to hydrate every other day. Sandstorms were a constant threat to all riders and when they were too fierce, the race had to be suspended 1. Frank decided to make his advance to push to the front by the start of the fourteenth day of the match. As normal, he began gradually to acquaint his ride to the terrain. By that time in the race, the difficult circumstances, the weather and meager supply of food had removed the weaker horses and riders. As each day passed, the procession of contestants lessened as the forerunners advanced. Each passing day Hopkins pressed Hidalgo to a quicker stride and finally gained the lead 1. There have been some who have avidity opposed Hopkins and his “lavish” claims to have competed in and won so many long distance races. The most notable of the antagonists are the O’Reilly brothers; two equestrian enthusiasts who founded the Long Riders Guild. In their book “Hidalgo and Other Stories By Frank T. Hopkins”, they debunk many of Frank’s stories of his life; stating that, “Hopkins’ fantasies are in no way an autobiographical account. They are the deluded ramblings of a very sick man.” They claim that Hopkins was never mentioned in any of the US Calvary manuscripts and that there was never a race in Arabia called the “Ocean of Fire”. Whatever their reasons were for exposing Hopkins as a fraud, they did bring up some very convincing evidence 4. No matter what one believes about Frank Hopkins’ achievements, his horsemanship and love for the North American mustang can never be brought into question. He was a remnant of the Wild West were a handshake was a good as a signature on paper and a man’s word was his promise. Although Frank passed away in the 1950s, his story lived on in the movie “Hidalgo”, which was released by Disney and Touchstone in 2004 staring Viggo Mortensen as Hopkins. Did Frank use any winnings to keep a herd of wild horses from being slaughtered/what state?? It was an interesting and intriguing story about how the tradition Hopkins started is still continuing today. The only thing I saw about Hopkins preventing the slaughter of mustangs is that in keeping them, they didn’t run wild and that reduced the likelihood of them being slaughtered. The Spanish mustang (also called the American mustang) is indeed a rare breed and Bryant Rickman insuring they are preserved today. When Frank won that long 3,000 mile race across the Arabian race … did he use his winnings to keep a large mustang herd of horses from being slaughtered and if so, in what state did that occur?? Thanks. This article is so fake. This guy Hopkins is a fraud. He was born in the 1890s. He fabricated everything. His story is so debunked now. There was no race in Arabian. He never served in the US Cavalry. And he was no Sioux half breed. All fantasy. The Saudi Govt. say no race has ever occurred and there is no history of one. This article just as fake as Hopkins.